Buy via Nice Game Shop! Full disclosure: A review copy of Star Plus was provided by Nice Game Publishing. Still running a giveaway this week! Check it out if you want to win ICECOOL2, ICECOOL’s standalone expansion! Alright, we’re back with another week of games from Korea, which is an exciting well to dive into. We’ve covered a few already, but I’m hoping to get through all of them before the end of the year, once a week. Sort of like my previous runs with the Oink Games / Dominion, both of which were fun (albeit a bit time-consuming). Next up is Star Plus, a game of celestial organization. 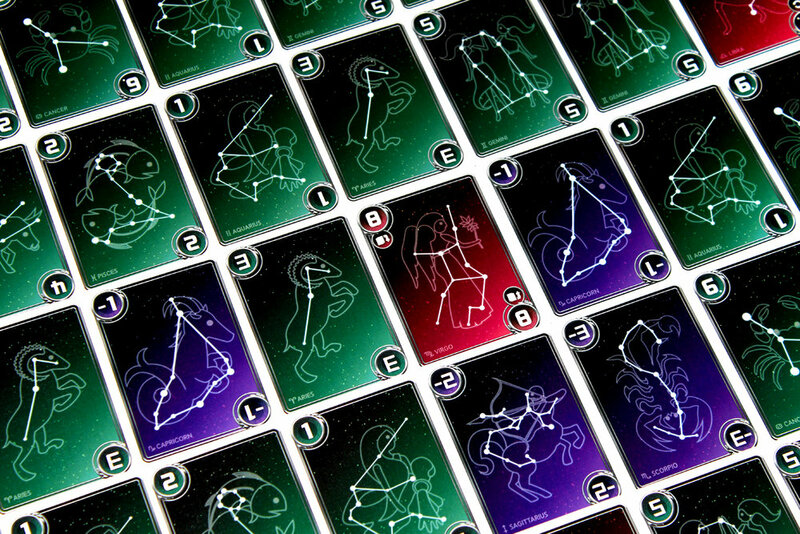 Combo your way through the zodiac to try and bring your A game for the stars’ festival! But be careful, as they’d prefer that you play everything you can. Will you be able to create a beautiful arrangement in the sky? Or will your opponents manage to eclipse you? Deal each player 9. If you’re playing with 5 – 6 players, deal each player 8. The game’s pretty straightforward. The first player starts by playing any number of cards whose values sum to 1 to their “score pile”. The next player plays 2, then 3, and so on. Once you hit 12, the next player starts again at 1. If you cannot or don’t want to play a card, draw two cards from the deck (one card in a 5 – 6 player game). 7: Take two cards from the score pile of the player on your right. 8: Take two cards from the score pile of the player on your left. 9: Play order reverses. If it was going clockwise, proceed counterclockwise. If it was going counterclockwise, proceed clockwise. There’s also a Zeus card, which basically gives you a freebie on the turn; you don’t have to do anything and play continues as though your turn never happened. 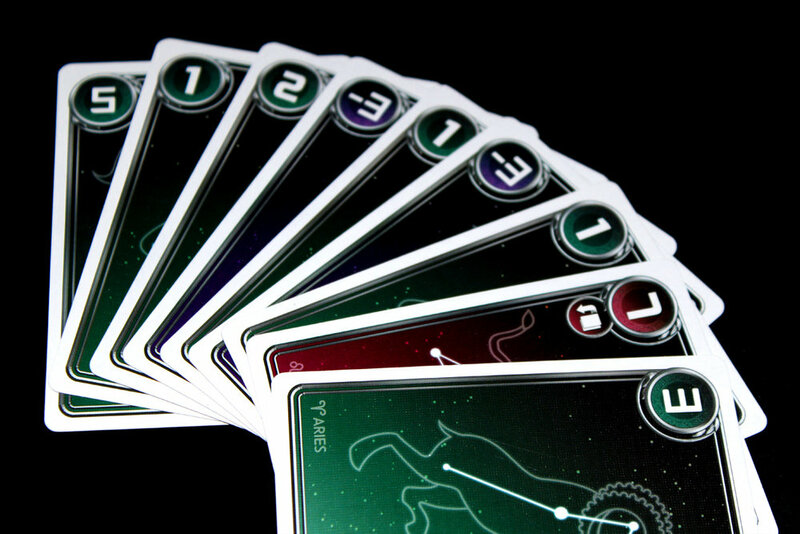 If any player plays 3+ cards on their turn, you’ve started a … well, the rules refer to it as a black hole, but on BGG they call it a star boom, so I’ve been calling it a supernova? A celestial explosion of some kind. That means every player after you must play at least three cards on their turn, otherwise they have to draw four cards from the deck (two in a 5 – 6 player game). Once that happens, play goes back to normal and you can play as many cards as you want on a turn. Record scores, and the player with the most points wins! Typically, you play three rounds to determine the winner (highest total), so, up to you. You could also play Oink style where the highest gets +2, second-highest gets +1, and lowest gets -1. That might cancel out super-high-scoring rounds. Honestly, and this may just be a thing with ladder-climbing games for me, I generally have found that I enjoy this far less after two players. Part of the fun of it for me is that it’s fast and light and kinda silly, and the downtime kind of exposes that you’re just playing numbers and occasionally deciding to play higher numbers or more numbers as a combination. Generally speaking, I think I strongly prefer this at two over any other number. Plus, it makes the 7s and 8s less difficult to figure out — you just steal two cards from your opponent. Try to get rid of your high cards. Preferably as quickly as possible; they’re only useful late in a round, anyways, and you might not even get a chance to play them if another player shoots for a supernova and you have to play three cards on a 9 or something. Keep an eye on how many cards your opponents have. The trick is kind of watching to see when they go below three. At that point, you can play a supernova of any three cards and force them to draw four. All the fun of Uno, but without most of the things that make Uno kind of terrible for any sustained period of time, in my opinion. Similarly, if they only have 1 card and have to play a 12, that’s not happening. Watch the deck, too. If your choices are “draw” or “play multiple cards” but you’re worried about having to draw later, check the deck. If there are only two or three cards left, next draw will end the round, so maybe just play the cards and hope for the best. Otherwise you risk drawing cards and taking negative points only for the next player to end the round and stick you with them. That’s … obviously less ideal than gaining more points. As a mild heuristic, it’s better to draw cards early in the round than late. Again, the later you draw, the more likely you’re going to have to keep those cards because someone ended the round. If you draw early, you have a shot of making better combos and plays because you have more options. Always check what numbers you can make from cards in your hand. 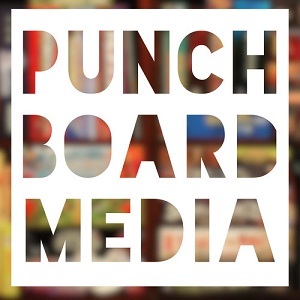 That’s just … kind of how the game works, yes, but I’m talking more specifically about thinking outside of the box. If you have -3, 3, 5, 6, -3, 1, -2, you can combine all of those into a 7 for a massive play. Most players won’t chain up their negatives in their first round, but if you do you can definitely do some cool stuff. You can even make a 1 with 1, 3, -3 and cause a supernova for the player who has to play 2 after you! That’s tough. Plays fast. I mean I’ve gotten through a three-round game in about 9 minutes. Sure, that was two players, but I’m mostly gonna recommend this game at two players, anyways, spoiler alert. Super fun at two. I really like the back-and-forth nature of it; it’s similar to Maskmen, but I probably prefer Maskmen’s terror-inducing strategy a bit more, all things considered. The combo potential of cards is really neat. It’s very satisfying to play 7 cards whose collective sum is 1. It’s probably the best part of this game, in my opinion, especially because then the next player has to figure out how to play 3+ cards to make a 2. Very portable. It’s just a stack of cards; throw it in a Quiver, take it wherever you want. Nice art on the cards / box. Like I’ll say, it doesn’t really have a theme that’s brought out by the gameplay, but the cards are nice and well-made, so that’s always nice. It’s always a bit annoying when you play a game that’s just “play three rounds with no changes between the rounds”. This is a common complaint I have across almost all games, though. The 7s and 8s letting you steal from different players is fine, but keeping track of which is which is kind of irritating, for some reason. I have yet to play with a group that has consistently gotten it right without having to check the rulebook; I kind of wish they had just included left and right arrows on the cards rather than clockwise / counterclockwise. The theme is present. I guess it’s about astrological signs, but I’m gonna be honest you could have themed this game about anything and it would have worked the same. The luck factor is pretty major, and some rounds are just going to end without much that you can do. I’ve played a few rounds at two that are just one player playing out their hand in 2 – 3 turns. I’ve had rounds where I drew too many 9s and they were just dead weight in my hand, since I never drew enough negatives to make them viable (and, once you start getting to higher values, you run the risk of someone playing 3+ cards and then you can’t use the 9 anyways). I think there’s a fair bit too much luck in the draw (and variability in the range of cards you can draw) for this to really be a game that I want to play as more than a quick filler. At higher player counts this becomes particularly noticeable, so I tend to keep it to two. It’s possible adding more negative numbers would help, but it’s hard to say, being real. Overall, I like Star Plus! I’d probably like it more if it, like, dropped 7 – 9 and -3 and increased the number of negatives, but I haven’t really thought much about whether or not that would actually work; I just kind of want there to be fewer different numbers of cards available so that you have more flexibility on your turn. The fun of the game is combos; it’s a bit disappointing when you play 1 – 2 – 3 – 4 – 5 – 6 … without ever playing more than one card, because you’re essentially just watching the game happen. That said, the game plays quickly enough at two that it’s just a fast-paced minigame that you can play while you’re looking to take a break from something else or warm up for something more challenging. If you really pressed me on it, I feel like Maskmen does everything that I would want from a game like this (but without comboing), but like I said, I like the combo potential of the cards, so I’ll probably keep it around for a bit. If you’re looking for a fun two-player ladder-climbing experience, maybe Star Plus will be that for you!